When NBC first announced the next installment of its thus-far-ridiculous live musical broadcasts would be The Wiz, people went ahead and got the jokes about easing on down the garbage chute ready to go. But then the network had to go and hire Stephanie Mills (who originated the Dorothy role in the original 1975 Broadway cast) as Auntie Em, thereby ruining everyone’s fun by giving the project an immediate hue of credibility. And now, Deadline reports Queen Latifah and Mary J. Blige have joined the cast as well—and NBC added an exclamation mark to the end of the title, in keeping with tradition, something you’d think they would want to break away from with this particular franchise. 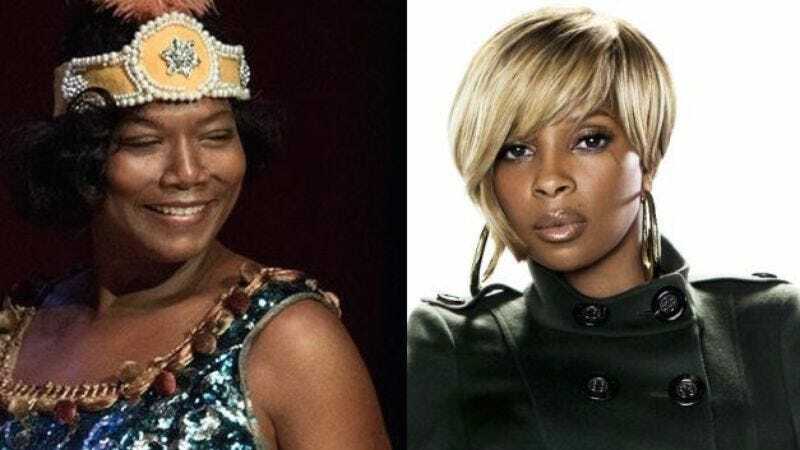 Queen Latifah will be playing The Wiz, imbuing the role with the talent and gravitas she brought to Bessie, and hopefully not the talent and gravitas she brought to Taxi. Blige, on the other hand, will play Evillene, the Wicked Witch of the West, meaning we will soon be treated to the sight of Mary J. Blige ordering around flying monkeys and cackling, presumably with evil glee. NBC’s reputation for these live musicals may be tarnished rather badly at this point, but if it’s serious about turning things around, these casting notices are arguably the most effective tool the network has at its disposal. The show will air on Thursday, December 3.